Foundation Care Call-to-Repair - for the highest level of response when minutes count. For hardware products covered by HP Foundation Care, the service includes remote diagnosis and support, as well as onsite hardware repair if it is required to resolve an issue (replacement parts and materials included). For eligible HP hardware products, this service may also include Basic Software Support and Collaborative Call Management for selected non-HP software. In addition, HP Foundation Care Service provides electronic access to related product and support information. –Coverage window: 24x7: Service is available 24 hours per day, 7 days per week including HP holidays. 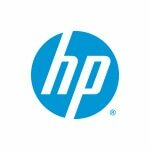 –6-hour call-to-repair time: For critical incidents (Severity 1 or 2), HP will use commercially reasonable efforts to return the covered hardware to operating condition within 6 hours after the initial service request has been received. Availability of call-to-repair times is dependent on the proximity of the Customer site to an HP-designated support hub. For non-critical incidents (Severity 3 or 4), or at the Customer’s request, HP will work with the Customer to schedule an agreed-upon time for the remedial action to begin, and the call-to-repair time will then start at that time. Call-to-repair time refers to the period of time that begins when the initial service request has been received and acknowledged by HP or at the start time for work scheduled in agreement with the Customer. Call-to-repair time ends with HP's determination that the hardware is repaired, or when the service request is closed with the explanation that HP has determined that no onsite intervention is required. It will take 30 days from the time this service is purchased to set up and perform necessary audits and processes so that the hardware call-to-repair time can be put in effect. During this initial 30-day period and for up to 5 additional business days after the audit is completed, HP will provide a 4-hour onsite response time. To support HP call-to-repair times, an inventory of critical replacement parts is maintained for Customers who have selected the call-to-repair option. This inventory is stored at an HP-designated facility. These parts are managed to allow for increased inventory availability and are accessible to HP authorized representatives responding to eligible service requests. -Coverage window: 24x7: Service is available 24 hours per day, 7 days per week including HP holidays. -Remote response time: Once a software problem is logged, an HP Solution Center engineer will respond to the call within two hours.